Paolo Bacigalupi, New York Times best-selling author and National Book Award finalist, dives once again into our uncertain future with his first thriller for adults since his multi-award-winning debut phenomenon The Windup Girl. When rumors of a game-changing water source surface in drought-ravaged Phoenix, Angel is sent to investigate. There he encounters Lucy Monroe, a hardened journalist with no love for Vegas and every reason to hate Angel, and Maria Villarosa, a young Texas refugee who survives by her wits and street smarts in a city that despises everything she represents. With bodies piling up, bullets flying, and Phoenix teetering on collapse, it seems like California is making a power play to monopolize the life-giving flow of a river. For Angel, Lucy, and Maria, time is running out, and their only hope for survival rests in each other's hands. But when water is more valuable than gold, alliances shift like sand, and the only thing for certain is that someone will have to bleed if anyone hopes to drink. 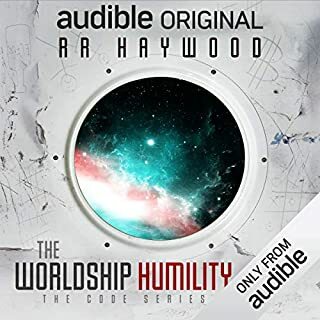 ©2015 Paolo Bacigalupi (P)2015 Audible Inc. Very Credible near-future thriller - elegantly conceived and written - superbly read by Almarie Guerra. Has resonances in strong states-rights, water shortages and internal refugee migrations. The ending is surprising and believably satisfying. Slow to start, this book became very exciting. Who isn't affected by drought? This book will grab you......AND what if? Water rights on the Colorado River have been debated and negotiated for almost 100 years and the existing agreements are actually rather complex. The southwestern US, arid by nature, is completely dependent on water from the Colorado River which originates from the north. Upper Basin States are bound by "The Law of the River" to let the water flow south to support the needs of California, Nevada, and Arizona. So what happens when the climate changes and the available water is only a fraction of what is needed for all involved? Well, you find yourself in the dusty, apocalyptic setting of the Water Knife where law and lawlessness exist in equal measure within the southwestern US. Due to a lack of water many southwestern cities have gone dry and the constitution is modified to no longer guarantee safe travel between the states. States borders are closed to limit population growth and patrolled by state military and local militia. The federal government sits back and lets the individual states handle border disagreements on their own but they loom as an ever present threat should any state go too far in their dealings with their neighbors. The Southern Nevada Water Authority is a bully of an organization with a private army willing to do whatever is necessary to gain control of as many water rights as possible. These rights are being used to build sustainable "arcologies" for the wealthy that keep Las Vegas alive and profitable. With California more than able to protect itself from Nevada, the SNWA turns its military and legal might against Arizona. Phoenix is just about out of water and has become a hell hole of poverty where lawlessness has the upper hand. #phoenixdownthetubes documents the slow death of the local population for the rest of the world to see online and there is little hope of a better future. 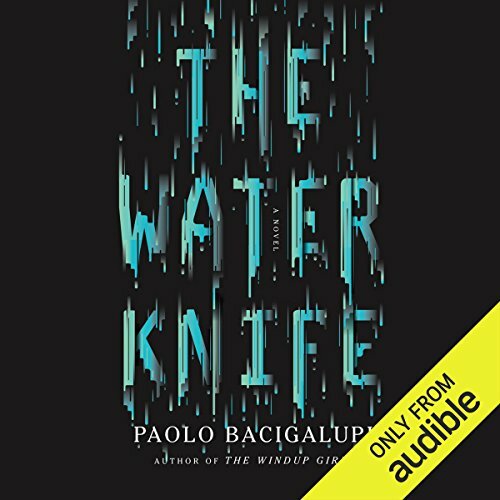 Paolo Baciagalupi inserts a cast of interesting characters into this setting and Almarie Guerra brings them to life with an excellent narration. Her reading of the story kept me interested from beginning to end and the characters felt like real people in an all too possible apocalypse. I was intrigued enough by the story to do a little extra reading on "The Law of the River" to improve my understanding of how the water rights of this region have been handled over the years and that made the scenario all the more plausible. So if you like apocalyptic fiction and are up for something different from the standard fare of zombies, epidemics, and nuclear war then you have come to the right place. I loved this book! I couldn't guess how it would end and I couldn't stop listening until I found out. 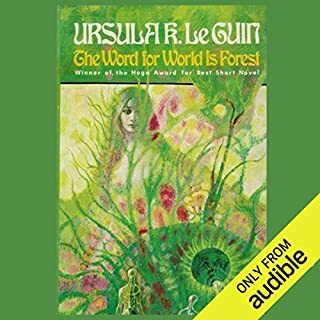 The story is standard-for-the genre explorations of good vs evil, idealism vs realism, perceived vs real power, and the human drive to survive at any cost, but each of the characters grew more relatable throughout. Some even surprised me with not-so-standard for the genre explorations of how much the power players really know and control. On the one hand, I share the complaints of other listeners re the narrator's mis-pronunciation of common English words. Each time, the fact that the decimated word might be found on a middle school vocabulary test is more distracting than the mis-pronunciation itself. Where were the producers?! On the other hand, I liked the narration. A lot. Ms. Guerra does a fine job with both male and female voices and I had no problem moving from character to character. In my opinion, the reader captured the tone of the novel and the voice of each character. Were it not for the pronunciation errors scattered throughout, it would be a near-flawless reading. And I listen to A LOT of audiobooks with a A LOT of narrators, from great to awful and everything in between. Use a credit and get this book! A much better performance. I love books and audiobooks are a great way for me to "read" while I exercise. Unfortunately, my mind kept on wandering because the performance was so poor. I couldn't even get through the book to get to the ending because of the performance. Too bad because the story description really had me excited. What didn’t you like about Almarie Guerra’s performance? The voices didn't really change. It was fairly monotone. I think the world is big, and we broke it. (My favorite quote from the book.) This was the first book of Bacigalupi's that I've read, and I think it's going to stick with me for a long time. At least for now—having just finished it—I feel like it has simultaneously renewed and destroyed my faith in mankind. Disaster inspires the most selfless acts of kindness in some people, and the worst kind of avarice in others. The key players struggle with which kind of person they're going to be. Bacigalupi tells the story in stark reality. With the southwestern US currently suffering from a megadrought, this story could hit terribly close to home for the people who live there, and I almost want to caution them not to read it, because it could give them nightmares. I would also caution anyone sensitive to violence. 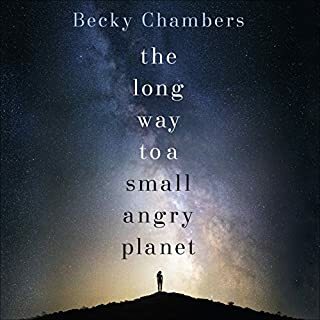 But if you want to think deeply about some of the potential consequences of climate change and untangle a web of corporate and governmental lies and deceit at the same time, this is the book for you. 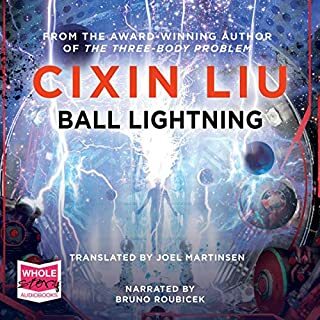 I couldn't get into this audio book at all. The story was boring and I never cared one bit about the characters. I read, and liked, the Windup Girl Chronicle, by the same author. In this, the setting was compelling and the characters and story engaging. But I didn't like the graphic torture, and lost interest. Would you try another book from Paolo Bacigalupi and/or Almarie Guerra? I might try another book by Bacigalupi But the Narrator seemed intent on destroying the book. Not only did every Male charecter have an eerily similar mexican "chollo" accent but distinguishing the charecter was near impossible while Almarie Guerra was reading. 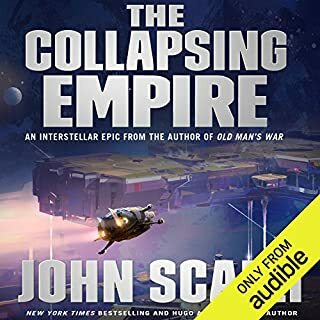 I literally stopped my audio book after several hours and bought the hard copy to finish. Would you recommend The Water Knife to your friends? Why or why not? Would you be willing to try another one of Almarie Guerra’s performances? Was The Water Knife worth the listening time? This is a well written book performed by someone who cannot do different voices for charecters making it hard to follow. And I would truly recomend just buying the hard copy of this book and staying away from the audio version. The storyline is a great idea, water will likely be the next crisis, but the author just could not pull it off. I know other people seem to like him but I just didn't enjoy his writing at all. The narrator certainly did not do a believable or accurate chollo or cholla accent. I am a retired army officer and native Texan living in a border town working at a county hospital so profanity, gore, violence does not bother me but this was senseless and disgusting sensationalism. All in all just a poorly done book. Sad to say I believed the Audible reviews and they lied to me AGAIN! Worth your time and credit! This book gets it right on so many levels. The characters, their journeys and motivations are very clear. The story is engaging and intelligent without being self-important. AND, I can emphasis this enough, it actually has an interesting plot that propels action forward. I've read so many books where plot is just a starting point for a lot of long winded prose and character development. Then somewhere towards the end you get a resolution that is completely unsatisfying or ridiculous. So actually reading a book that starts out good and continues to be good all the way through was such a breath of fresh air. I loved the premise of the story. A world in which water is such a precious commodity that technology and politics revolve around the control of it. I liked the characters, too. I lost interest, however, when there were a couple of torture scenes that were, in my opinion, over the top graphic and violent. Just not my thing, so I didn't finish the last 1/4 of the book. Loved his other books, this author just gets better and better. Stunningly realised world with wonderful characters that stay with you long after you've finished the book. The story is matched by the narration which is excellent. 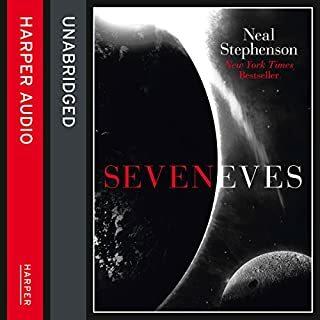 My fave audio book so far this year. I did enjoy this but it felt like an episode of a TV series rather than a movie. There were a lot of incidental characters that felt a little underdeveloped (although the main characters were well created and fleshed out.) I feel it could have done with another major story arc to really 'deepen' the story. Still enjoyable - just a little 'empty'. Definitely worth a read or listen though. A slow and slightly confusing start but then I'm not used to listening to books, I like to read. It got going for me in the 5th chapter and though there are some gory scenes, nothing a light weight like me couldn't handle as it wasn't gratuitous and moved the plot along. I found it really engaging and wanted to know what was going to happen next. I came to love the very dodgy water knife 'Angel' and am strangely missing him already. Oh dear, maybe that says a lot about me. This isn't science fiction, this is slightly projected current events. All too believable, scarily concievable. I loved Wind-Up Girl and this is even better.. so much grittier and closer to home. I had no idea how Paolo was going to manage an ending that didn't sell out or frustrate... but he managed it perfectly. The narration was also excellent.. to the point I was starting to use some of the Hispanic phrases and expressions in my head. Another totally immersive read. I need to brush up on my Spanish. I need to buy water shares and dig a well! Would you try another book written by Paolo Bacigalupi or narrated by Almarie Guerra? Probably not. The narrator is very poor. The bad accents and strange cadence hurts my ears. The performance should have been a bit more neutral. Every line sounds over the top and far from natural. Cringing.